Current senator: The current senator for the 21st Senate District is Sen. Kim LaSata (R-St. Joseph). The district features all of Berrien County, Cass County and St. Joseph County. LaSata taught fifth grade at Lake Michigan Catholic Schools before being elected to the Michigan House in 2016. 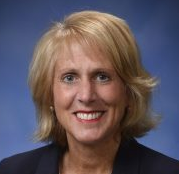 Sen. LaSata was first elected to the Michigan Senate in 2018, taking office in 2019. She is chairwoman of the Senate Appropriations Universities and Community Colleges Subcomittee. A map of the 21st District is available here. Sen. LaSata raises money through a candidate committee called Kim LaSata for State Senate. She's also connected to a leadership PAC, Keep Improving Michigan PAC. She previously raised money though a House candidate committee, Kim LaSata for State Representative.